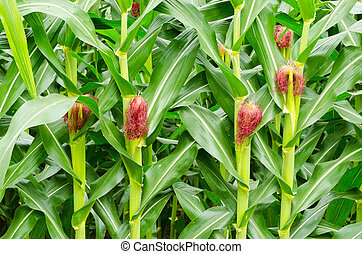 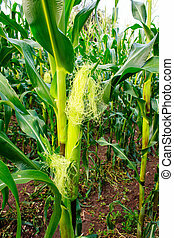 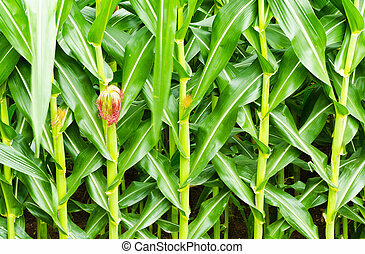 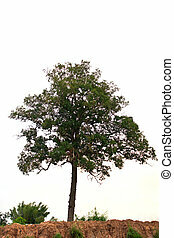 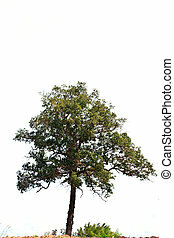 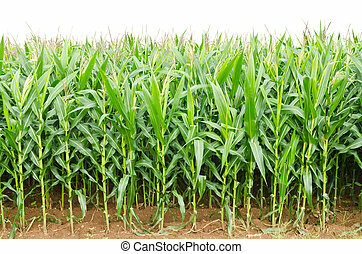 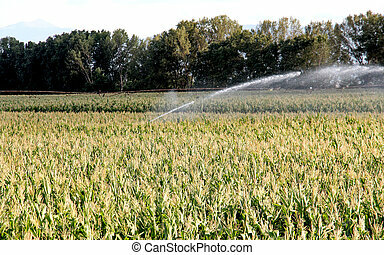 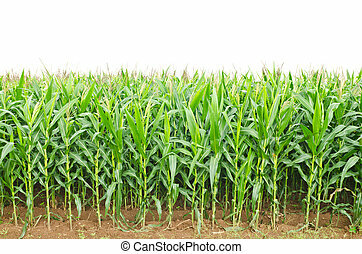 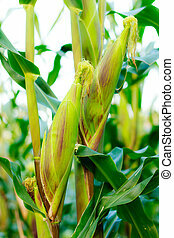 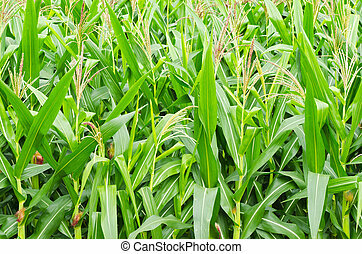 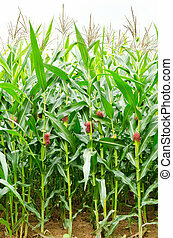 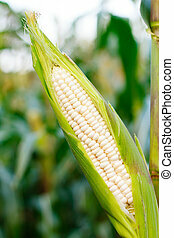 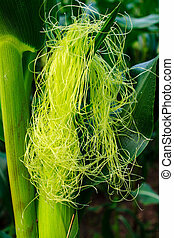 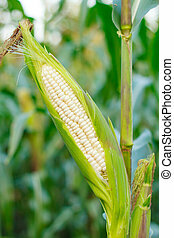 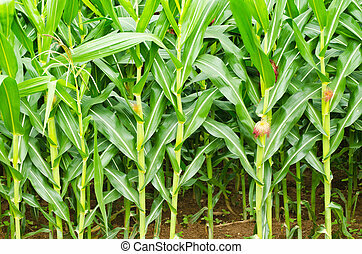 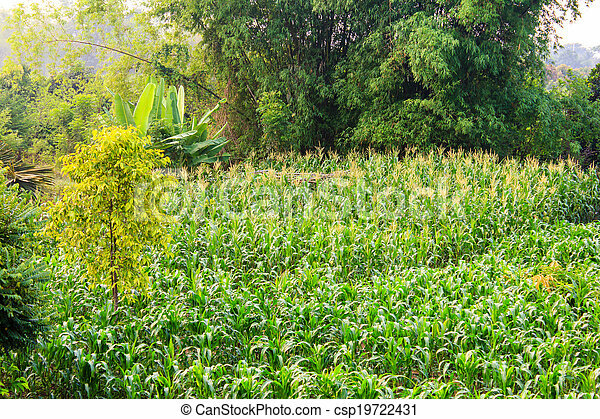 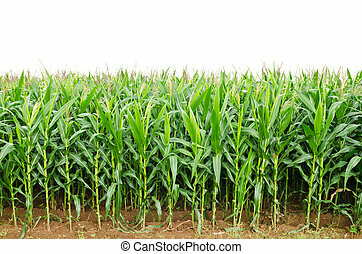 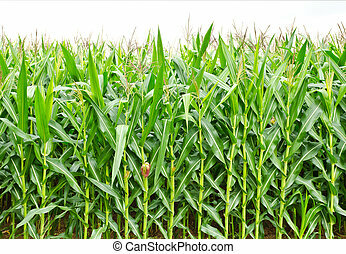 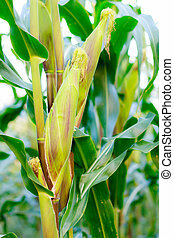 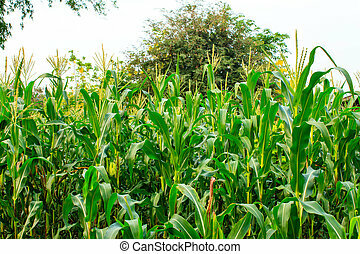 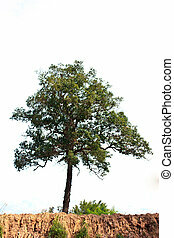 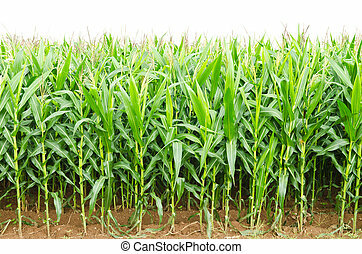 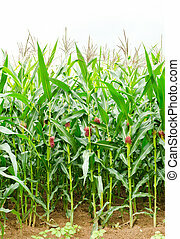 A green field of corn growing up. 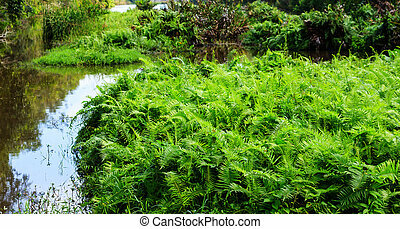 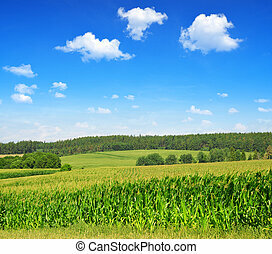 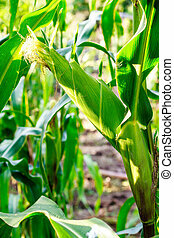 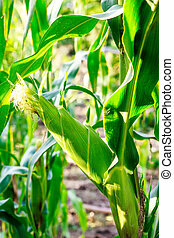 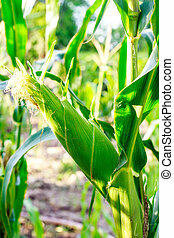 A green field of corn in sunny day. A green field of corn with wind turbines.